This mixed use tower was designed to includes: 21 stories for offices, 1 for amenities, 34 for 227 appartments, 9 penthouse offices. 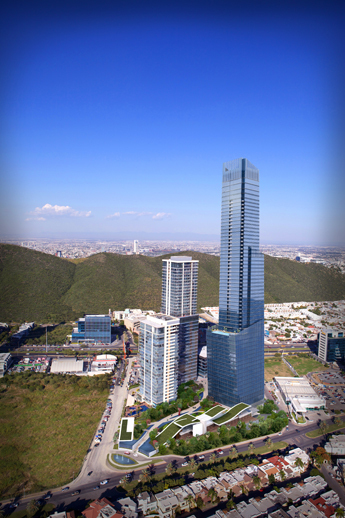 On august of 2012 the project was modifyed to rise 267 meters high (61 stories). On april of 2014, was announced changes for structure by recent seismic phenomena.